Height – an extremely sensitive matter in today’s society. 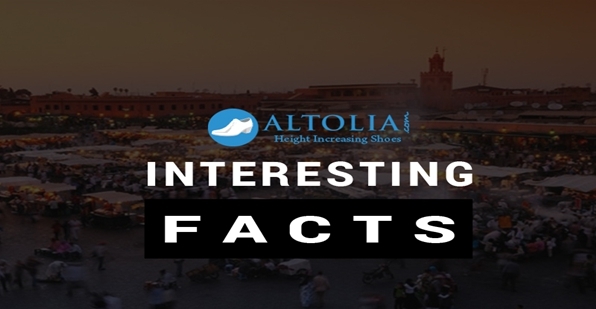 No matter whether it is about to date a gorgeous woman or looking into other aspects of life, being taller have its own set of interesting facts for men. There are plenty of people who strongly believe that height is the most important trait to be successful in every aspect of life. However, height is not an important measure of success; but, under a few instances, it plays a great role. Today, we will discuss about some interesting facts of being tall men. Let's have a look at those amazing reals in below points. It is often seen in the crowd, be it men or women, once they get apart find it difficult to locate each other. However, for women, dating tall men is altogether a different experience in this case. Whether it is crowd or no crowd, taller guys never go missing because of their 3-5 inches of extra height. So, if a person fails to locate his girl, then don't worry, she'll find you in any way. When a girl hang around with someone taller, she feels a bit secure. Because it is believed that, taller men are being assertive in nature and quite more dominating. Hence, they can provide more protection to the woman. Moreover, if someone stares at you, then your handsome, tall partner can even scare boys without much effort. If you don't believe it, then look around. In every leading organization, taller men are rewarded with greater responsibilities and the top most designations to handle critical situations with their pleasingly dominating personality and positive attitude. Moreover, who wouldn't love to date a rich & wealthy guy, so, tall men become the first choice. Even after a breakup, women know that being with the taller men has changed their life forever after. Now, they don't want to date short-heighted men and even start judging their friend's boyfriends based on their heights. Being a taller man, you set new standards for women to judge a person whom she wants to date.